I must admit I never thought of following a cooking course: in part, because I was lucky enough to have amazing teachers in the figures of my grandmothers (and my own dad, too), in part because, well… it never really occured to me to do it. A few years ago, however, my best friend decided to enrol in a culinary course near her home in Turin because, as she would say “I can no longer survive on frozen meals and expect my mother to bring food up to me every time she comes visiting.” Six or seven years later, she’s the most passionate person about cooking I know. She doesn’t only enjoy it, but she does it amazingly well and with a love and care for details and flavors second to none. Her mantra is “cook fresh, love tradition, don’t be afraid to dare.” She is downhandedly one of the best cooks I know and all from a cooking course she took more out of necessity than love. This little episode points directly to the topic of this article, cooking courses in Italy, and how they can truly represent a life-changing game when it comes to us and the kitchen, even though, maybe, not from the point of view we would think: a cooking course is not going to turn you into a professional chef, but can certainly help you know the kitchen better and, even more importantly, it may help you find a new passion. And then, we all know that food and its history is one of the best ways to get to know a culture in all its facets. Through food, the way it tastes and the way it’s cooked, we learn about traditions and about heritage, we learn how to recognize the past in what we do today. Pretty amazing stuff to know about. And if we can get to be better at cooking while doing that, we’re really facing a win-win situation. Italy, of course, has regular culinary schools, both at second and third level of education: we have the Istituto Alberghiero, which is a culinary and hospitality oriented type of high school, and we have culinary universities, such as the Università degli Studi di Scienze Gastronomiche, born off the success of the Slow Food movement with see in Pollenzo (Cuneo), Apicius, the Culinary Institute of Florence or the Università dei Sapori, in Umbria; all these offer third level degrees and diplomas. This is all good if you want to have a career in cooking, but what about us, mere amateurs? Well, these institutions also offer, especially during the Summer, short term courses for each and every one of us. Truth is that, even before cooking courses became institutionalized, people had already begun organizing them, a bit everywhere in the country: we know that people come to our country to eat well and teaching how to cook seemed to be a natural step to take. From north to south, from cities to the countryside, cooking courses offer the opportunity to improve our cooking skills, but also teach how to organize your kitchen, how to select the best ingredients, how to follow nature’s rhythm and always choose seasonal over imported produce. Courses have become so popular that, today, full holiday packages are made to fit around many of them. But what are the best available at the moment and where are they? 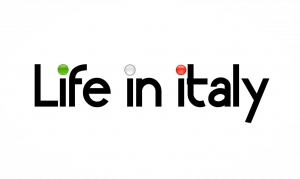 We at lifeinitaly did some of the legwork for you and selected a bunch of those we think to be more interesting. Take a look! Organic Tuscany offers week-long cooking courses, along with a bona fide full immersion in the Tuscan countryside. You’ll be staying in a beautiful country villa and will get involved in interesting activities each day: from excursions to nearby historically and artistically relevant towns to visits to local ceramic studios, Organic Tuscany will give you the opportunity to relax, learn and eat fantastically. The program includes visits to local organic farms, cooking classes using organic ingredients, olive oil and wine tastings as well as tours of Siena, Florence and San Gimignano. The Awaiting Table Cookery School was founded in Lecce, in the beautiful Salento area of Puglia, in 2003. Since then, it’s been rocking the culinary world with its informal and creative approach to teaching people about food and, alas, wine. The school offers several courses at two locations in Lecce. This is one of the things that characterizes The Awating Table, that you’ll live in the beautiful historical centre of a town, rather than in the country. Because of this, your “learning experience” will also involve going to the farmer’s market every morning to choose ingredients, or to the fishmongers to check out the daily catch, so your Italian should get better, too, along with your cooking skills. To the people of The Awaiting Table, food and cooking is not only a matter of learning how to prepare a dish, but also – and especially – to know where it comes from and why we cook it in a certain way: a 360 degree food experience, then, which encompasses culinary skills, history, heritage. Interesting are their once-a-year offers, such as the Birthday Course held in September, where the year supply of tomato sauce is made with participants. Prices: for the Lecce 7 days course: 2100 USD (flight not included). Set among green, rolling hills dotted with ancient olive trees Fontana del Papa is an excellent introduction to Italy. Lovingly restored by your hosts Claudio and Assuntina, its architectural details, history and atmosphere are intact. A spring that originally supplied water for the Pope is now also the site of the swimming pool. The people at Fontana del Papa offer different type of cooking courses throughout the year. The casale is an independent entity, with its own orchard, where you can go pick vegetable with the family. Fontana del Papa also operates as a B+B and an amazing, charming restaurant on saturdays and sundays. Prices: from 1325 to 1545 USD, depending on the room (flight not included). When: dates available upon request. Family run in the Umbrian casale “La Volpe e L’Uva”, Let’s Cook in Umbria offers holiday packages including accomodation, cooking classes, tours, meals and even Italian language lessons. The atmosphere at La Volpe e l’Uva is delightfully sweet, also because the whole project is run by a family, in their own home. An orchard and plenty of chickens will provide all the vegs and the eggs necessary to prepare your daily delicacies. One of the best things about Let’s Cook in Umbria is that you’re able to choose from courses of variable length, from one day to one week. By the way, they offer Gift Vouchers, which means you could actually gift a cooking class or a full course to someone you love. This particular cooking course is proposed by theinternationalkitchen, a website specialized in finding and proposing cooking holidays through the Italian territory. I liked this one in particular because, contrarily to the others described in the article which take place all in a single location, it’ll bring you to several beautiful spots in Sicily for your course. Always offering stays at amazing 4 star hotels and cooking classes in large, professional kitchens, the Authentic Sicilian Experience for the Food Lover also wants to show you as much as possible of this beautiful island: you’ll stay (and cook) in Palermo, Agrigento, Modica and Taormina and you’ll manage to enjoy a real full immersion into Sicilian culture and heritage. Courses are available throughout the year. Spread over 7 days, The Italian Way Cooking Holiday in Piemonte is set through the UNESCO World Heritage Site of Le Langhe, which is also where the Slow Food Movement was created. During this holiday, you’ll enjoy four full cooking classes and a series of beautiful trips to quaint Piedmontese villages and towns, as well as tours of vineyards and cellars. Wine tastings, gorgeous locations, cooking classes and fantastic food are all part of this lovely holiday. You’ll stay in a farmhouse-turned-hotel, the Hotel Bellavista in Bossolasco, a small charming village on top of a hill in the Langhe. It can’t quite get better than that. Prices: upon request (flight not included, but transport to and from the airports of Turin or Milan is). Tastes of Italy offers a fantastic opportunity to learn the secrets of Italian cuisine with a 6 days holiday in the quaint borough of Borgo Pianello, not far from Bologna. The interesting thing about this course is that it’s truly about “Italy,” as it selects a series of typical dishes from different areas of the country and teaches you about them, hands on. Relevant part of the course are the wine pairing classes, during which you’ll learn how to pair the dishes you’ve cooked with wines on the basis of their ingredients and flavors. You’ll stay at a beautiful 4 stars farmhouse throughout your vacation and will have also the opportunity to take tours to nearby towns. When: up to the end of October. Held over 6 days between Venice and the Island of Murano, A Venice Cooking Odissey will bring you the pleasure and beauty of a Venetian kitchen. It’ll all start with a visit to the local Rialto food market, where you learn how to choose your produce carefully, and then straight into the kitchen of one of Venice most characteristic restaurants, L’Osteria degli Assassini, to have your first cooking class held by a well known local chef. You’ll move to Murano on day 3 of your stay: in Murano you’ll have the other lessons and enjoy the quiet and charming atmosphere of the island. Being in Venice means there are plenty of things to do and see and the people of A Venice Cooking Odissey have thought of it all: they offer, as part of the vacation, half or full day tours (depending on when your classes are scheduled!) 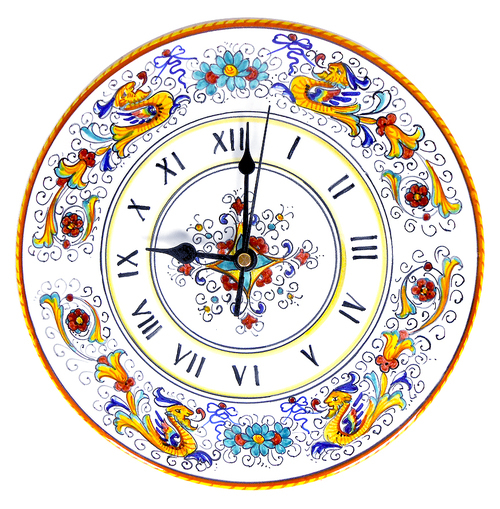 of Venice, Burano, Torcello and Murano, all held in English. When: all year round, upon contact. Even if brief, this excursus among Italy’s cooking vacations gives you an idea of how popular they are. If it’s true that the majority of those taking them may not be locals, you’ll be surrounded by Italians, you’ll speak in Italian and you’ll breath in a fully Italian atmosphere. As said already, what better way to get to know a culture and its traditions, a people and its language than living fully within it and learning the secrets of their amazing cuisine?